Bhakti Fest founder Sridhar Silberfein vividly recalls standing on the stage at Woodstock next to Swami Satchidananda before half a million or so flower children in August 1969. Barely 19 at the time, but deeply involved in chanting and yoga, he had been charged with bringing “an element of spirituality” to the festival by Woodstock producers Michael Lang and Artie Kornfeld . Silberfein immediately turned to his guru Satchidananda, the founder of Integral Yoga, and they flew together by helicopter to Yasgur’s farm to deliver the opening invocation that set the festival — and the “Woodstock generation” — in motion. Swami famously called music ”the celestial sound that controls the whole universe” and led the crowd in chanting Om Shanti. 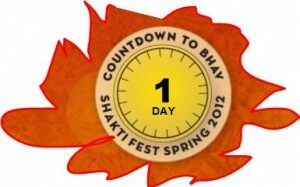 So, who’s chanting at Shakti Fest? Who’s not chanting would be an easier answer! Bhakti Fest’s spring fling is sort of a little sister to September in the same way that Omega’s Spring Chant is a little sister to Ecstatic Chant weekend in the fall. As such, it lacks the really big names that headline the September Fest (like Krishna Das, Deva Premal, Dave Stringer). But, seriously, with a line-up like this, who’s going to feel like they’re missing something? 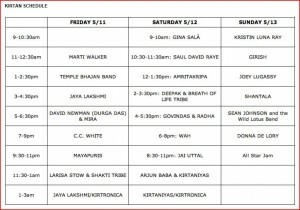 The Line-Up for Shakti Fest. What's not to love? 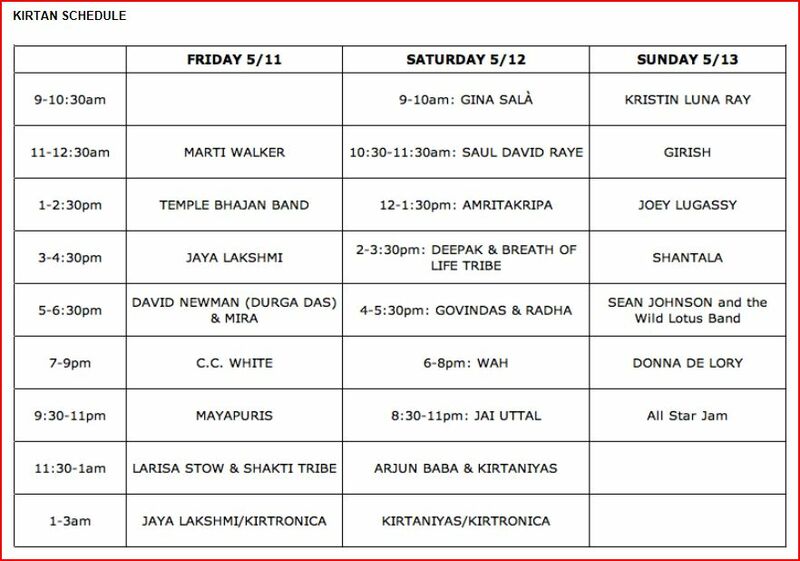 If you can’t be in the bhav at Joshua Tree this weekend, you can still follow the flow by staying tuned to The Bhakti Beat’s ongoing coverage on Facebook, Twitter, and right where you are now. We’ll be posting updates daily, talking with artists and producers, and posting more from our earlier interview with Sridhar. Get the bhav, wherever you are! Pranams to Sridhar for an incredible gift to our community, and to the world. These festivals remind us powerfully to live more fully Neem Karoli Baba’s message: “Love everyone. Serve everyone. Remember God.” Thank you, BhaktiFest, for your love, service and divine remembrance! 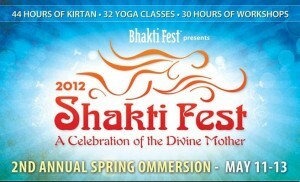 Yes, Bhakti Fest is a gift! We couldn’t agree more. What these festivals are doing to spread the bhav is pretty groundbreaking. ‘Thanks for your comments Laura!